Here is where you will find the books we think are fantastic. We think you will as well. 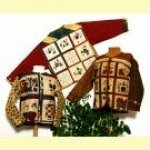 What would the holidays be without hand-made gifts and these are the patterns that can assist you in this effort. Merry Stitching!!!!!! These are some of our personal favorites. We love hand stitching and then adding quilted blocks to make them into quilted masterpieces. Hope you enjoy what we have for you to experience. 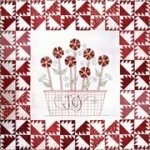 These are either pieced or applique or both combined with a primitive or folksy flair. Patterns make the quilting world an easier place to be and we have chosen some great ones to get your creative spirit soaring. Remember you can chose different colors to do each and every project. There are pillows and pincushions and things that make you smile with patterns to make them and leftover fabrics being your palette. Patterns - Little Scraps, Schnibbles, etc. These quilts are usually done with charm squares --- 5" square that is. This is what we all started with-----piecing and there is nothing lovely than a pieced quilt. These patterns are for all the pre-cuts whether they be charms (5 x 5 inch squares), Jelly Rolls, Bali Pops, Layer Cakes (10 x 10 inch squares.) Or you can cut your own. Patterns - Purses, Totes, etc. How many shoes can one woman have....well, she can have a lot more purses if she want to use these patterns. These are for the practical side of your quilting projects. Who can't use a Table Runner, topper of table decor. So here are patterns to make it easier.